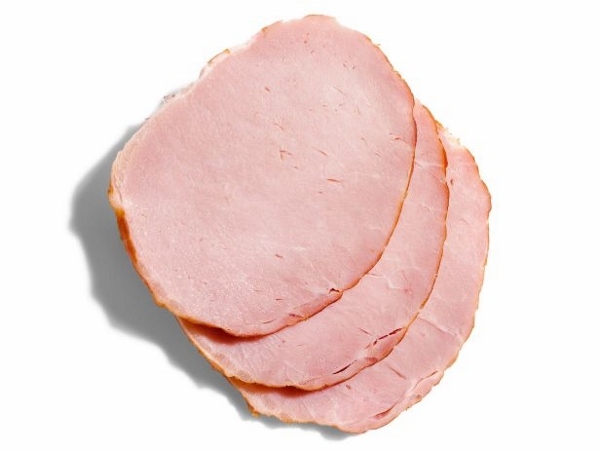 Unlike bacon that comes from the pork belly, Canadian bacon (also called back bacon or Irish bacon) is made with trimmed pork loins or tenderloins. 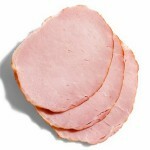 It is traditionally wet-cured by injecting the meat with a curing solution. In England this bacon includes the fat portion of the loin. Read more about making bacon in Mike Stines' article here.